After many generations and years of wandering, about 12,000 years ago, a few Paleo-Indian families migrated all the way to the shores of the Atlantic Ocean and into the present the state of New Jersey. The most recent band of Indians who lived here during the European Contact Period (explorations and colonization) were the Lenape. The name, “Lenape” means “common” or “ordinary” people. The Lenape people called their homeland Lenapehoking. This land included all of what is now New Jersey, eastern Pennsylvania, southeastern New York State, northern Delaware and a small part of southwestern Connecticut. During the Late Woodland Period, approximately 400 – 1,000 years ago, the Lenape were able to cultivate with simple implements. They knew the proper time for planting and harvesting by being guided by the moon and stars. 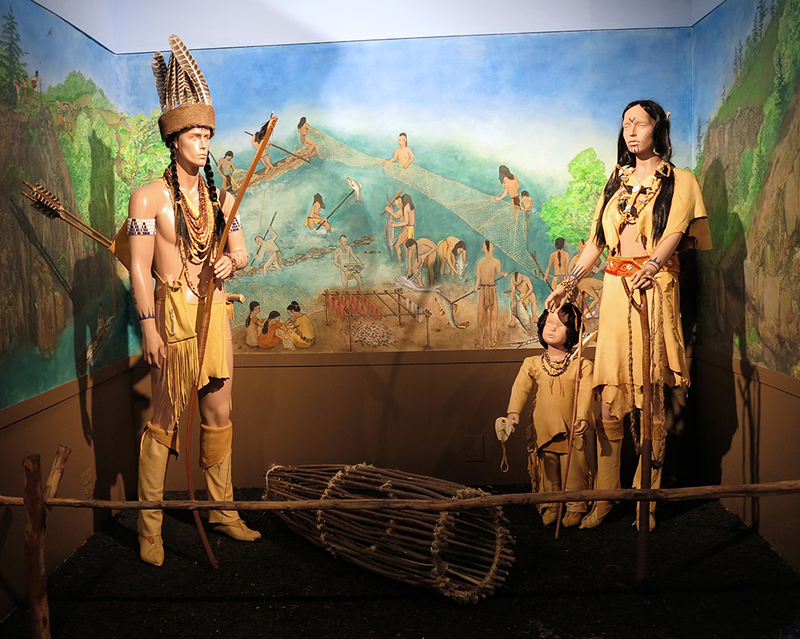 This exhibit, comprised of artifacts and replications representing the Delaware-Lenape culture, has been designed to generate an appreciation of the ingenuity and harmonious environmental adaptation of this indigenous culture that occupied a vast geographic area known as Lenapehoking. Paterson Museum Is A Museum In Paterson, New Jersey, USA. Founded In 1925, It Is Owned And Run By The City Of Paterson And Its Mission Is To Preserve And Display The Industrial History Of Paterson.